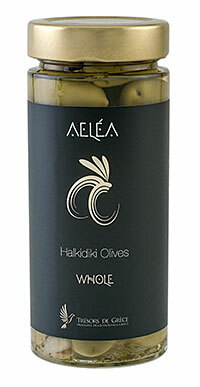 Halkidiki olives can be served as a delicious appetizer, together with Ouzo (or Tsipouro), goat cheese, sliced tomatoes and freshly toasted pita-bread or traditional Greek bread-bread-crackers (from Crete or Kithira island). Try them in your salads, as well as in tomato sauces and casseroles. Olives (from the Chalkidiki peninsula, next to the Holy Mount Athos), water, fresh lemons, sea-salt, wild-oregano, citric acid. 100% natural product.